David Daniels earned a Bachelor of Science degree from Central Michigan University in Mt. Pleasant in 1970. From a young ago he loved nature, and looked to it for what he still considers an “inexhaustible supply of ideas.” This fascination with nature led to his formal training in botany and biology. Although he knows his paintings would never be considered photorealistic, his scientific studies continue to influence his work. He makes great efforts to represent his subjects as anatomically and botanically correct. 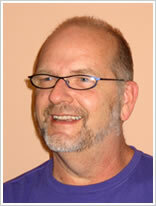 In 1982 he earned a Master of Art degree, again from Central Michigan University. After 15 years of teaching in the Michigan public school system, he moved to Washington, D.C., to pursue an art career. David’s work has been selected numerous times for solo exhibitions in Michigan and the Washington, D.C. metro area, and his paintings are in many private and public collections around the world, including the National Institutes of Health. 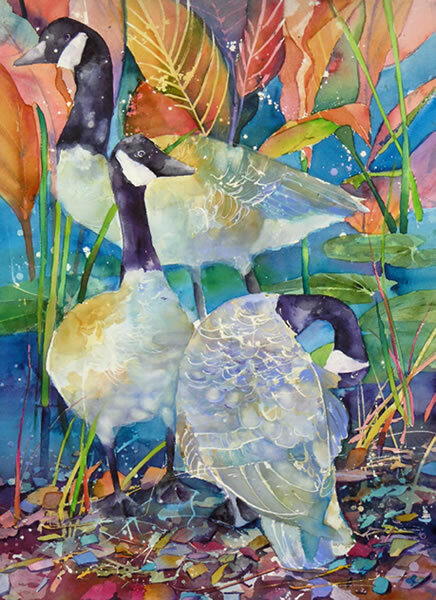 He has been the recipient of Best of Show awards from organizations such as the Capitol Hill Art League and the Washington Watercolor Association, and was inducted into Who’s Who in American Art in 2005. 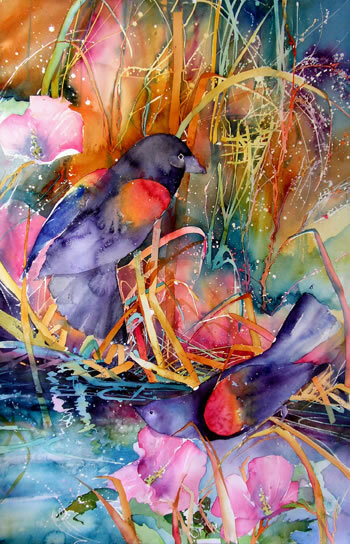 In addition to being a full-time artist, he teaches watercolor painting at the Smithsonian Institution, Montgomery College in Rockville, Maryland, and privately in his studio. David was the art director for the Boat House Art School of Washington, D.C., for two years; volunteered as a docent at the Hirshhorn Museum and Sculpture Garden; and has demonstrated his style of painting on cable TV. His work has been featured in numerous books and periodicals, and his interactive approach to teaching has made him a sought-after workshop instructor. After more than 30 years of painting, his continuing experimentation with the medium has resulted in depictions such as, “The New Face of Watercolor” (Watercolor Magazine, Fall 2004), and his paintings are said to look like no other watercolor you have seen. His website is www.mrwatercolor.com. Capturing the spirit of nature and interpreting its beauty through my vision is what I love most about making art. The medium of watercolor is surprisingly versatile, which feeds into my drive to experiment with materials and methods. 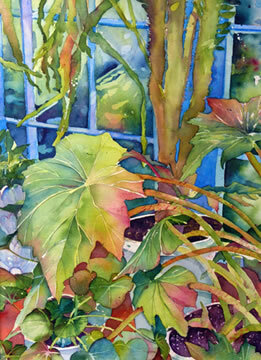 Borrowing from batik, I use a masking agent and multiple washes to achieve a range of effects, from delicate to bold. At times I add pastels to strengthen the depth of color, and almost always paint in a large format, which allows me to exaggerate my subject matter. It is an ever present challenge for me to elevate the medium of watercolor by using innovative techniques, all the while preserving the natural beauty of its transparency. Most rewarding is that simple smile of a viewer who has come face to face with the shimmering wing of a four-foot grasshopper.